When you are passing around the chocolate for gelt, make sure it is organic and fair trade. This makes it easier to feel better about eating money, even if it’s only fake gold coins! The brand Chocolove has a wide variety of types and Dagoba is part of The Rainforest Alliance. 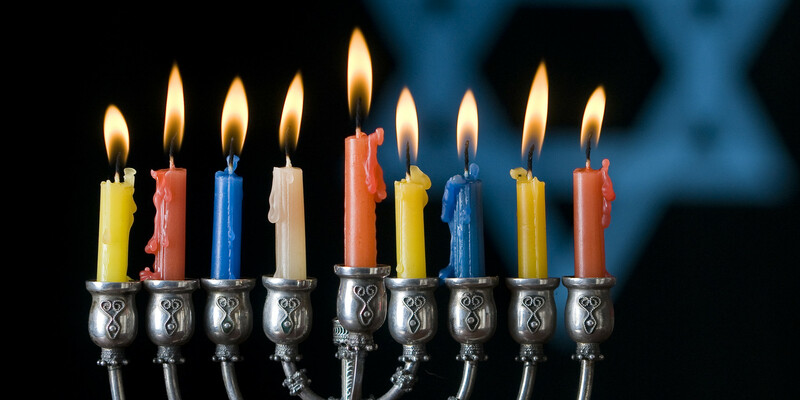 Burning soy wax candles during the eight days of Hanukkah instead of regular paraffin candles is a more environmentally and family friendly living choice – paraffin candles, when burnt excessively, increases the amount of CO2 in the atmosphere. Yikes! Browse your local farmer’s market for potatoes and onions for latkes, and seek out organic oil when you can. Buying local produce is better for small businesses and your community. 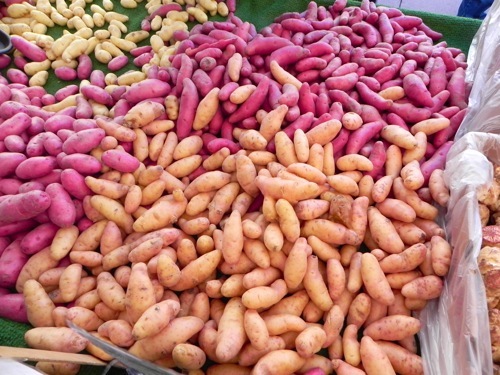 Buying locally also means your potatoes did not travel hundreds of miles to reach your table, meaning that less gas was burned during transportation. Instead of literally buying into our excessively capitalist society, try making your Hanukkah gifts! You might just discover you are talented at knitting scarves that could almost be blankets, or could win a gold medal for scrapbooking cute things like stale cereal and meaningful school photos together! While getting 8 presents in a row is awesome, what is even more awesome is helping out your community and environment too. This could mean teaching neighborhood kids how to recycle, holding a bake sale to donate to an environmental non-profit, or using less water when you shower. Hopefully these five simple steps will make your Hanukkah more eco-friendly and environmentally sustainable! The holidays can be stressful, with prickly family members visiting from out of town and the kids clamouring for another pony. Don’t let harming the environment be part of it! This entry was posted in Green Living Issues and tagged environmentally friendly, green Hanukkah, Hanukkah, holiday season, sustainable holidays. Bookmark the permalink.